After decades of mercilessly laying waste to the East Coast cod fisheries, the federal government is poised to shut them down. 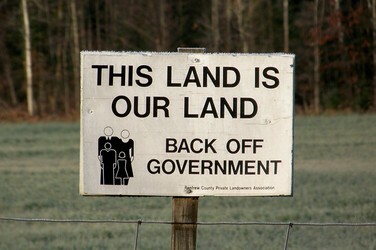 The government has no choice: There is nothing left to plunder. It didn’t have to end like this. Logging a majestic stand of hemlock and balsam in British Columbia’s coastal rainforest costs logging companies $100 a cubic metre. Selling the hemlock gets them an average of $60 a cubic metre, the balsam gets them less. "We lose $40 on every cubic metre of hemlock that we bring to the sawmill," explains Steve Crombie of Interfor, one of B.C.’s large product exporters. How dumb does Prime Minister Jean Chrétien think President George W. Bush can be? Very, very dumb, judging by the arguments over softwood lumber that our Cabinet ministers and trade officials had been floating prior to Mr. Chrétien’s meeting with Mr. Bush yesterday. Only someone as thick as a plank could buy the lulus put out by our government leaders in what — at over $10-billion per year — is by far the most important trade dispute between the two countries. Claims by an international think-tank that Canadians pay too little for the water they consume are untrue, according to, the country’s municipal water utilities. To have the cleanest tap water possible, the Mike Harris government has announced stricter regulations governing the testing of the Ontario water supply. This despite the fact that the testing of the water supply was the only component of the Walkerton water system that functioned properly in one of the worst outbreaks of E. coli poisoning in Canadian history. Not only did the private lab detect the E. coli bacteria in the water sample, the lab also immediately notified the municipality. While reporting on the trial of Wiebo Ludwig and Richard Boonstra for the National Post, Christie Blatchford managed unintentionally to articulate the real issue in the subterfuge that runs as deep as the many hydrocarbon-emitting wells in the northwestern part of Alberta. Canada’s mining industry knows how to strike it rich, but it closely guards its secrets, for fear others will jump its claims. Now, the secret’s out. Here’s how it’s done.